These favors let you beautifully adorn your reception tables with silver wedding bells at each setting while also adding in the fun. 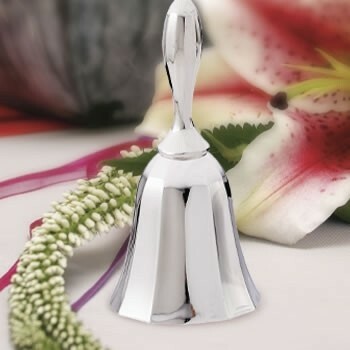 That's because, with these deluxe silver plated kissing bells your guests will be ready to lovingly signal that it's time for them to witness one more newlywed smooch! 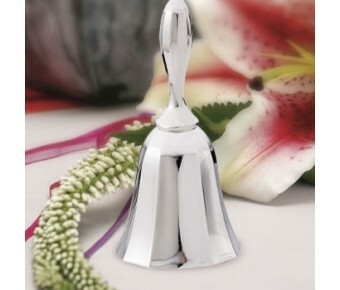 Approximately 4" tall, these silver wedding bells (plated) are individually gift boxed for presentation. Get your lips ready - these kissing bells are sure to be ringing!